The president’s 2016 federal financial disclosure lists gross receipts for his dealings with New York City. If you subtract expenses and fees, the amount he earned from the deals is much smaller. When he was running for president last May, Donald Trump released 104 pages of details about his finances, including a claim that he earned nearly $21 million through contracts with New York City to run two skating rinks in Central Park and a Bronx golf course. Of course, the skating rinks and golf course are but a tiny corner of the Trump financial empire. Still, the records add to the suspicion — originally advanced by Fortune, Forbes and other news organizations — that Trump’s official disclosures exaggerate his accomplishments as a businessman by reporting gross receipts rather than actual profits. Trump submitted the listing of his financial holdings to the U.S. Office of Government Ethics, a requirement for presidential candidates. 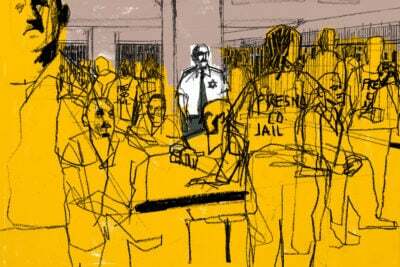 He reported income from the New York City leases of $20.8 million but did not disclose the expenses he incurred while running those operations. The Office of Government Ethics reviews financial disclosures for compliance. It doesn’t audit the filings, leaving it up to candidates to decide whether to report gross revenue or net income from their business dealings. Either is allowed on the form, as long it’s clear. In the disclosure Trump filed, the numbers for the New York leases are listed under “Income Amount.’’ Former government ethics attorneys say that while most previous nominees understood this to require reporting income net of expenses, the requirements are vague enough to allow either interpretation. “It’s sufficiently ambiguous that, while Trump may meet their reporting requirements, it’s really misleading,” said Virginia Canter, who served as associate counsel for ethics in the Clinton and Obama administrations and ethics adviser for the International Monetary Fund. 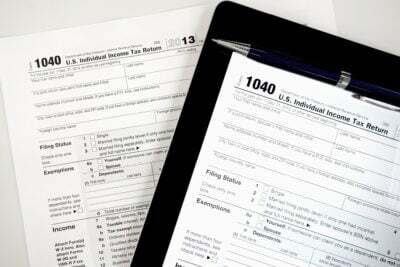 Wealthy political candidates and Cabinet picks have reported income with expenses subtracted, repeating the numbers reported on their income tax returns. For example, former Commerce Secretary Penny Pritzker, a Chicago billionaire with sizable real-estate assets, reported on her financial disclosure form that she earned at least $164 million, a figure described as taxable income. Even then, Pritzker had to file an amended form after she understated her income. New York City documents released to ProPublica in response to a public-records request show that in previous years, Trump spent at least $4.5 million annually on employee salaries, subcontractors, insurance, taxes and benefits at the skating rinks. Separately, he paid at least $2 million a year to the city in rent in 2015 and 2016. President Trump has long given wildly varying numbers estimating his net worth. In 2009, he offered one figure publicly, then said his worth was substantially less on government documents. Read the story. Trump has yet to report his expenses for 2015 and 2016. But if past experience is a guide, it would appear that he spends about $6.5 million annually on the two rinks. The financial disclosure form Trump filed covers the period from January 2015 to May 2016. In those months, he disclosed an income of $12.9 million for the two rinks, roughly the same amount as our estimate of his expenses for that period. We estimated that his expenses for those months were above $12 million, given that most of the skating business takes place in the winter months. This left Trump with a profit, by our estimate, of several hundred thousand dollars. That’s in line with Trump’s predictions to New York City, which is that he expected to make a profit, after taxes, of less than $500,000 annually. We found a similar pattern when we looked at the golf course. There, the Trump Organization projected expenses of more than $4 million a year in 2015 and 2016, including spending on salaries, the pro shop, marketing and maintenance of the greens. According to city records, the golf course’s total receipts for 2015 and first five months of 2016 were $8.1 million. That’s roughly what Trump reported as income ($7.9 million) on the federal disclosure forms for that period. Projecting conservatively, we estimated that Trump spent at least $5 million on expenses in those months — $4 million for the previous year and at least $1 million from January to May, leaving him, at most, a profit of $3 million. 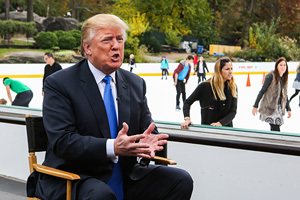 Trump took over operations of Wollman Rink and the smaller Central Park ice rink in 1986 after they had fallen into disrepair. He signed another contract with the Department of Parks and Recreation in November 2001 to manage the rinks for another 10 years and later extended it to last until 2021. In extending its contract with Trump, city officials described the Trump Organization as an “exemplary concessionaire” and noted that, with the low profit margins at the ice skating rinks, it had “no other viable options” to manage it. 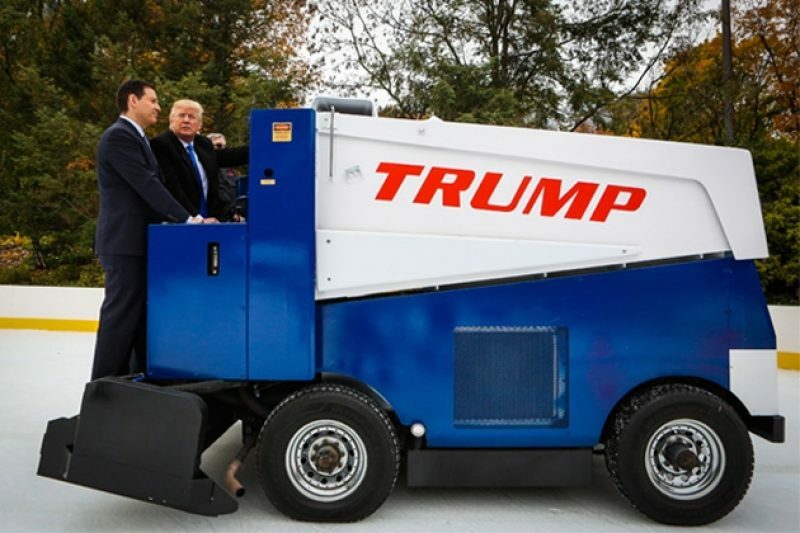 The rink has a decidedly Trumpian quality; nearly everything at the rink is emblazoned with the Trump name, from the rental skates and water to the Zamboni. In 2012, the Trump Organization also signed a 20-year contract to operate the 192-acre golf course in the Bronx. The course is on the site of a former garbage dump redeveloped by the city at a cost of more than $200 million. Trump agreed to fund various improvements and start sharing revenues with the city in 2020; a weekend game of golf costs $172, triple that of other municipal golf courses. Despite pledging to distance himself from his business empire, Trump is still listed as the ultimate owner of the two New York City contracts. To transfer ownership of the contracts, the Trump Organization has to get the written approval of New York City Parks Commissioner Mitchell J. Silver. Any changes in management and operation of the rinks need approval from the commissioner. “Failure to comply with this provision shall cause the immediate termination of this License,” the contracts read. The Trump Organization has yet to make those changes, city officials said. In response to questions from ProPublica about the management changeover, the Parks and Recreation Department said it is trying to get more information. In January, Trump said that he would distance himself from his business empire by creating a trust that would oversee his companies. But the trust, run by his eldest son, Donald Trump Jr., and a longtime employee, ultimately benefits the president, D.C. licensing documents obtained by ProPublica show.